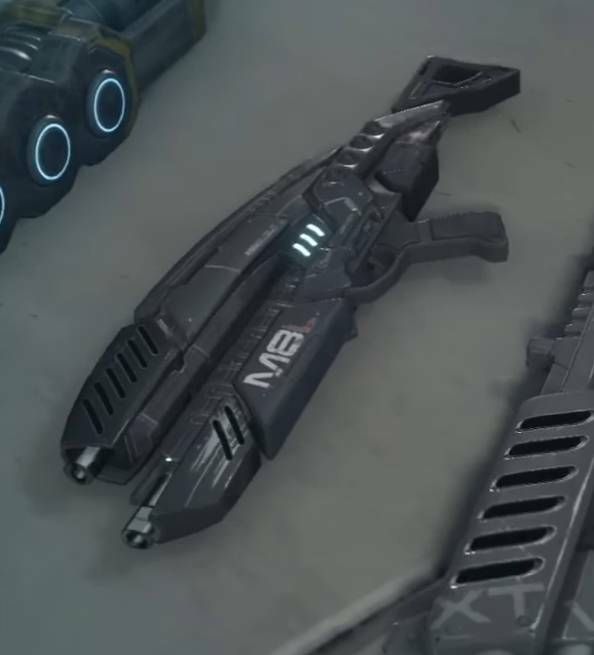 This is a Mass Effect Andromeda weapons page on the M-8 Avenger. Here you’ll find information about the plethora of weapons used in Mass Effect Andromeda. Accurate when fired in short bursts, and utterly devastating in full auto. This rifle is used by many, many factions in the Milky Way due to its easy handling and it’s durability. A common and versatile assault rifle. The M-8 Avenger’s modular design and inexpensive components made it a favorite of military groups and mercenaries in the Milky Way. Many Avengers were acquired for Andromeda Initiative security forces. The sturdy rifle has a reputation for being reliable and easy to use. The Avenger is a fast-firing weapon. Given that, it needs as much clip size it can get. This means that skills like turbocharge and assault rifle passive skills are effective.